Helen is a Chartered Physiotherapist with over 30 of experience. A drive for excellence has developed as a result of her work in several UK Clinical Centres of Excellence, as well as working internationally in Geneva, Africa and the Middle East. 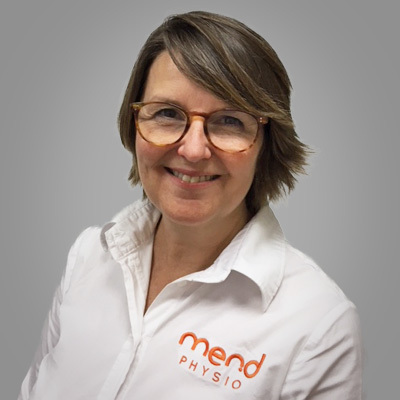 As well as clinical excellence, Helen strives for excellence in customer service, aiming to fill the gaps of where clients feel the missing pieces are within other Physiotherapy services. At Mend, you receive the complete package. Helen integrates these ideas when choosing her Mend team. As Clinic Director, she understands that a team is only as good as the sum of the parts. The Mend team come with equal passion, skills and drive for absolute excellence. Golf: Don’t let the fear of injury stop you from playing the game.